Health Education & Behavior is a peer-reviewed bi-monthly journal that provides empirical research, case studies, program evaluations, literature reviews, and discussions on theories of health behavior and health status, as well as strategies to improve social and behavioral health. It also examines the processes of planning, implementing, managing, and assessing health education and social-behavioral interventions. 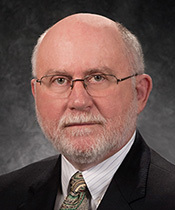 McLeroy will speak on his previously published work, “Creating Capacity: Establishing a Health Education Research Agenda,” published originally in 1995 that led to the establishment of a research agenda for health education. He will recount the history of that effort and address the issue of new journal reporting standards that go beyond the current standards for public health journals. McLeroy currently serves as the department editor of Framing Health Matters for the American Journal of Public Health and is an international leader in the use of social ecology as a framework for public health research and practice. His research interests include community capacity, community-based approaches to health promotion and disease prevention, program evaluation of individual and community assets and resources, the relationship between theory and practice, social ecology, and history of public health.